Welcome to Soroptimist International of Torquay and District. 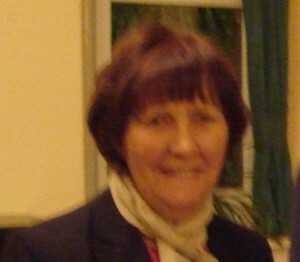 I am Maureen Hunnable and have been a member of the Torquay club since 1986. I became president of this club in April 2010. This is my 4th term of office. Last year we supported the Children’s Hospice South West, Rowcroft Hospice and many other smaller donations to various charities both national and international. This year it has been decided not to choose one specific charity at the beginning of the year but make a decision at the end of the year how we wish any money collected to be distributed. We aim to raise money in many ways such as sales of produce, autumn fairs, and many other ways. All club members work very hard during the year but also have lots of fun and meet up with many old friends and make lots of new ones, therefore we have many social functions where more money is raised. Next year, 2011, is our 70th anniversary so it is hoped to raise money from various functions from members and friends of our club to help celebrate this event. We look forward to welcoming visitors to Torquay and also any local ladies who might be interested in joining us at one of our club meetings.